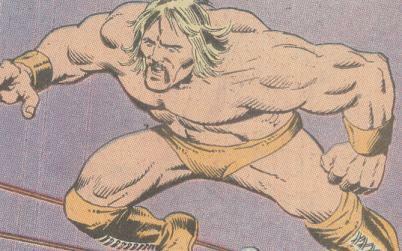 One of my favorite bits of trivia about pro wrestler Hulk Hogan is that for many years, Marvel Comics was the owner of the name “Hulk Hogan.” I derinitely noticed the credit to Marvel on some WWF merchandise I had. Marvel Comics potentially had a great opportunity for Hulk Hogan comics, but what did Marvel do with the Hulk Hogan trademark? Let’s step back. Hulk Hogan, born Terry Bollea, is one of the most popular wrestlers of all time. Bollea had used a few stage names prior to becoming Hulk Hogan, including “Hulk Boulder.” Sometime in the early 80s, Bollea was being billed as “The Incredible” Hulk Hogan. Hogan’s popularity soared when he was the centerpiece wrestler of the World Wrestling Federation, now WWE. As the then-WWF tours and TV coverage expanded from its Northeastern base, they were pushing it with touting “The Incredible” Hulk Hogan. 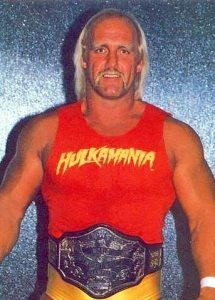 At some point in the 1980s, Marvel complained then both parties reached an agreement: Marvel held the Hulk Hogan name and would license it to the Federation. This agreement meant no Hulk Hogan drawn by Steve Ditko in the WWF Battlemania comics published by Marvel competitor Valiant. 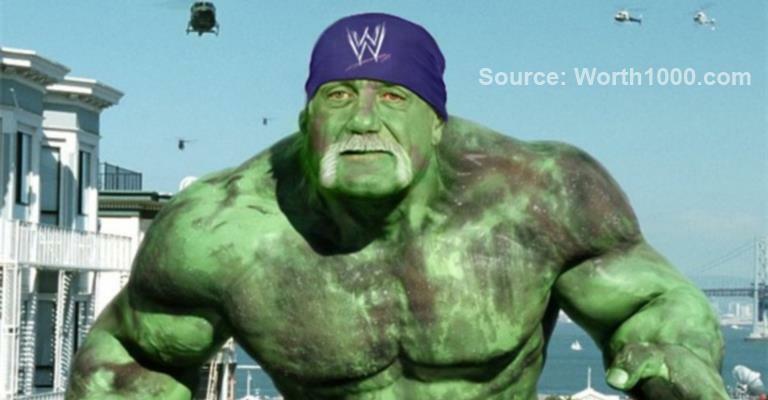 Other than collecting money from the WWF and later WCW and then WWE again, Marvel didn’t do much with their other Hulk. If Marvel Comics Presents #45 is to believed, Hulk the wrestler is no match for The Incredible Hu… er, Joe Fixit. Any other of you clowns want to swipe a name you don’t deserve just to get ahead? 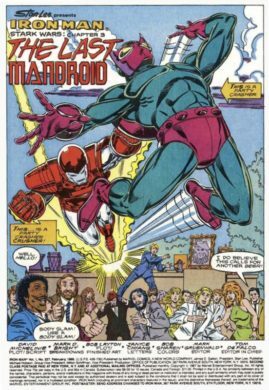 This story, written by Peter David and drawn by Herb Trimpe, is talked about in the fansite Ratchet’s Hulk Collection. Body slam! Use a body slam! 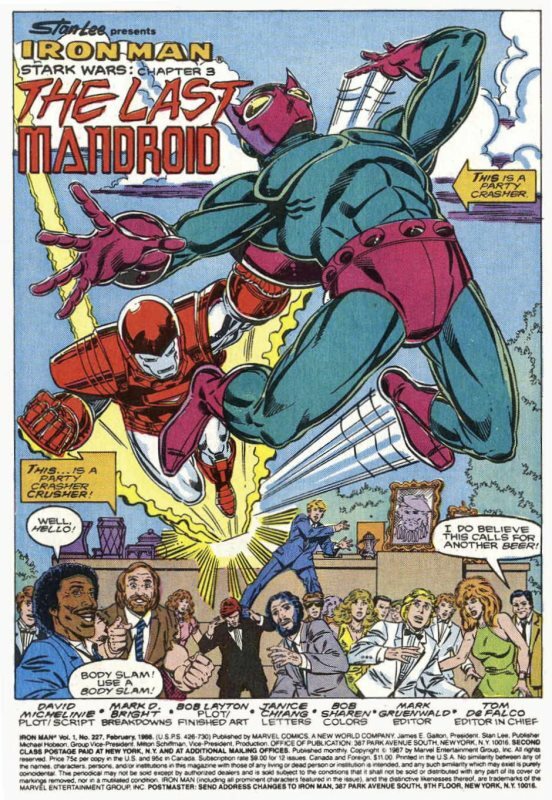 Iron Man #227 is scripted by David Micheline with artwork by Mark D. Bright and Bob Layton. While searching for info, I found that may be a third Hulk Hogan who existed before young Terry decided to put on a pair of wrestling boots. There’s a listing in the Appendix to the Handbook of the Marvel Universe for a cowboy named “Hulk Hogan,” but the writer states that the first name’s unrevealed. I’m assuming that “Hulk” is his nickname. In 1961’s Gunsmoke Western #63, this Hulk Hogan is a villain who fights the Two-Gun Kid. Hulk loses. If you squint your eyes, this cowboy baddie could pass for pro wrestling’s Hulk. Marvel had these three Hulk Hogans, and they’re not even footnotes in the company’s illustrious history. On another note, Bollea did buy the Hulk Hogan name from Marvel and Marvel has moved on to accepting TNA wrestlers as fans. So say your prayers, eat your vitamins, and drink your milk, because you too can preserve your immortal legacy.